If you’re a wine connoisseur or just someone who enjoys a nice bottle of wine with dinner, designing a winning wine cellar can be fun! There are so many options available and a lot to consider, so designing and planning properly is essential. The first thing you want to decide is how you will use your wine cellar. Is this a room you’ll use everyday or only on special occasions? Some people just walk in to retrieve a bottle, while others enjoy the ambiance and experience of having a sitting area right in the room. 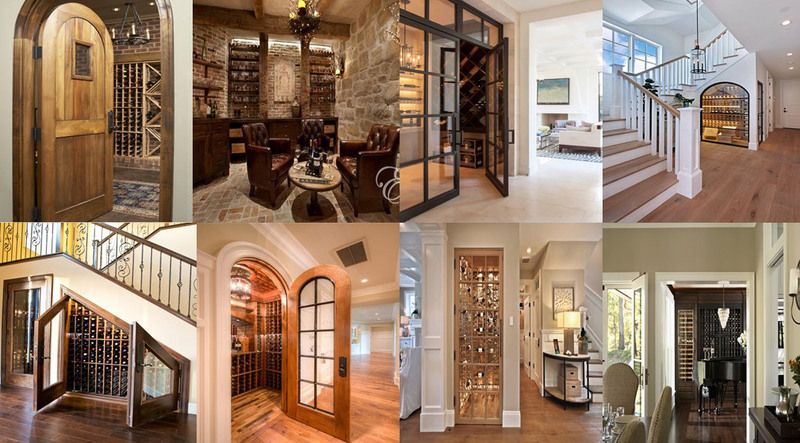 First of all, don’t make the mistake of getting almost finished planning your home design and suddenly realize you want a wine room! If you do, the space will probably look like an afterthought. Don’t just squeeze it in somewhere because you had extra space. The wine cellar can be built below the ground in a true authentic cellar space or included on the main floor. Some people want a niche tucked underneath a stairway with an iron gate or wood plank door. No matter where you place it , the wine cellar is as much about aesthetics as it s about the wine. Let one of our creative designers help you with ideas! One homeowner came up with a very creative design. He built a one-story house with an elevator and the wine cellar is actually just eight inches below ground or a step down from the main floor. He invites guests into the elevator and pushes the “down” button to the wine cellar. The elevator is programmed to operate very slowly, creating the illusion of a longer descent. When the opposite door opens, there’s the wine cellar! It’s certainly a grand experience. To create an authentic look and feel, put a two-sides wood plank door on it. The room should have a big, chunky pine floor, low beams on the ceiling, and stacked stone walls. You can choose finishes for an aged appearance. The whole space should feel old to complement the age of the wine. Will you sit in your wine cellar or just retrieve a bottle? If your want to create a sitting area, be sure to carve out adequate space so you don’t feel like you’re crammed into a closet. Make room for a little table and a couple of chairs. Include storage for wine glasses and napkins. For the true wine connoisseur, create an underground space and make it large enough for at least four people to sit comfortably. The ideal wine cellar temperature range is 55 to 58 degrees with 55 to 75 percent relative humidity. Wine needs to be maintained within this range so it can “breathe” through the cork and age well. As your builder, I can help you select the proper refrigeration unit. There are wine storage racks available in iron, wood, a combination of iron and wood, and terra cotta roof tiles. If collecting wine is a hobby, be sure to allow enough space to expand your collection.